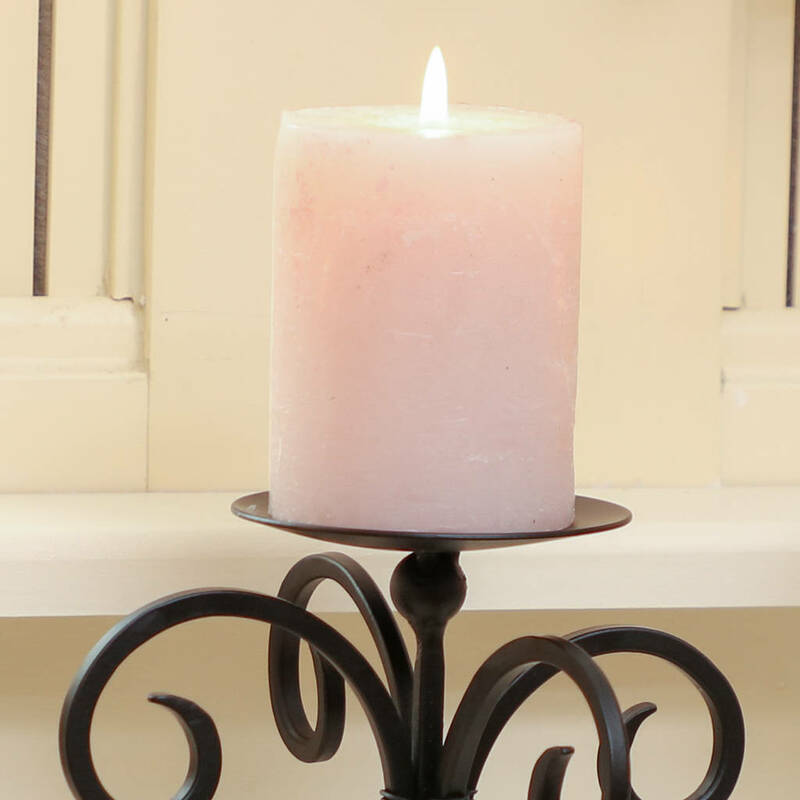 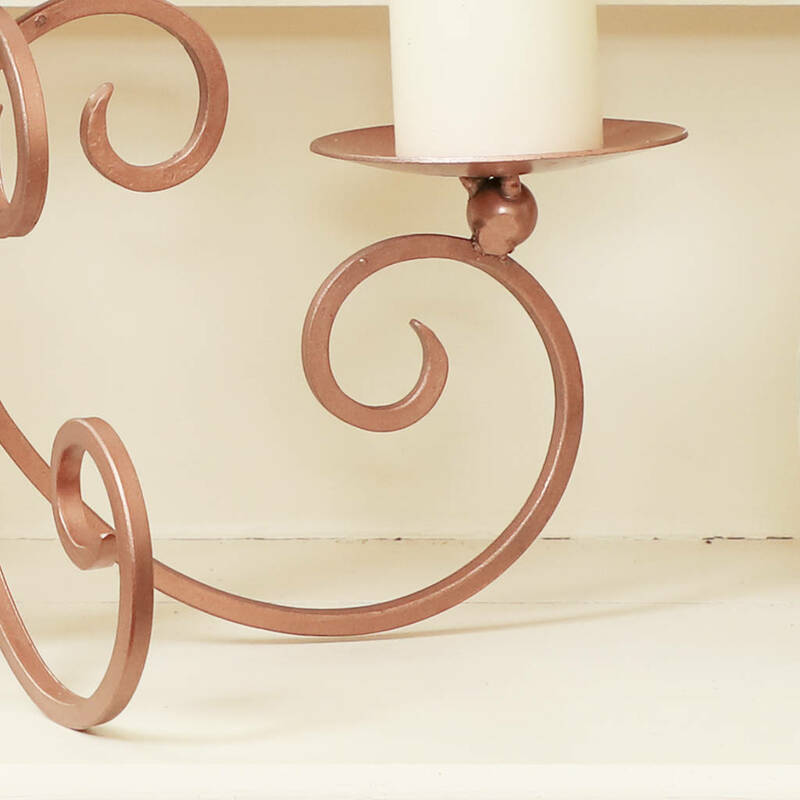 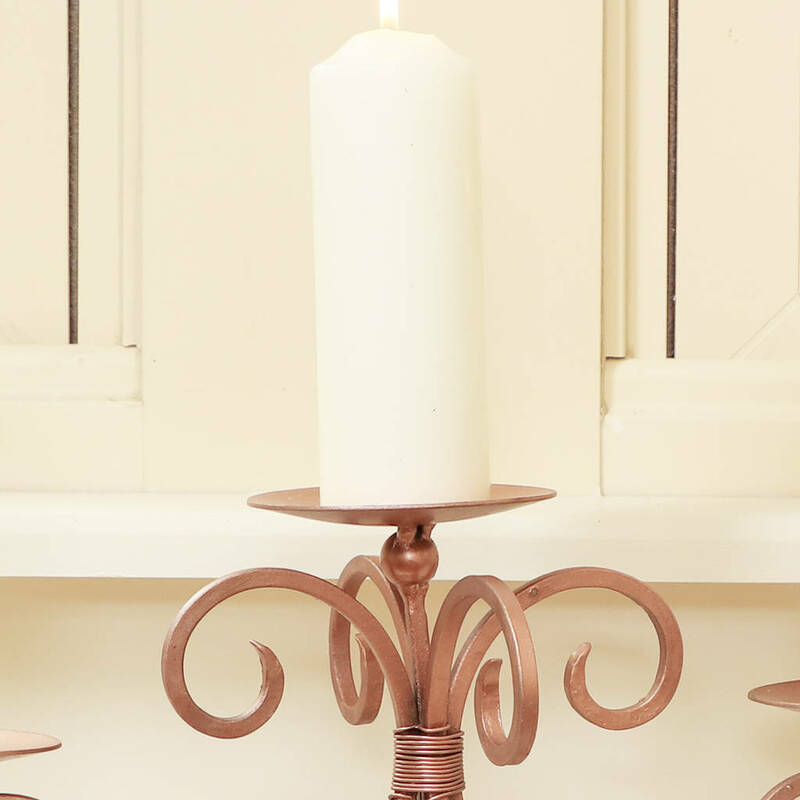 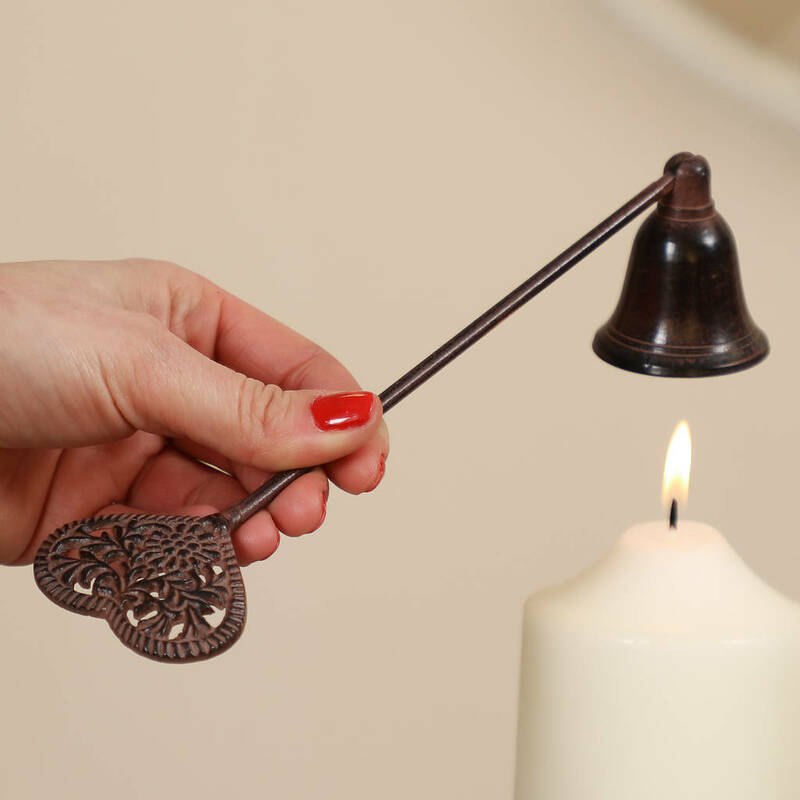 Add a touch of elegance to any dining table with this three pillar candle holder. 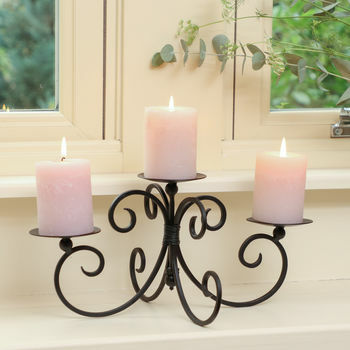 A stunning centerpiece that's perfect for creating ambient lighting. 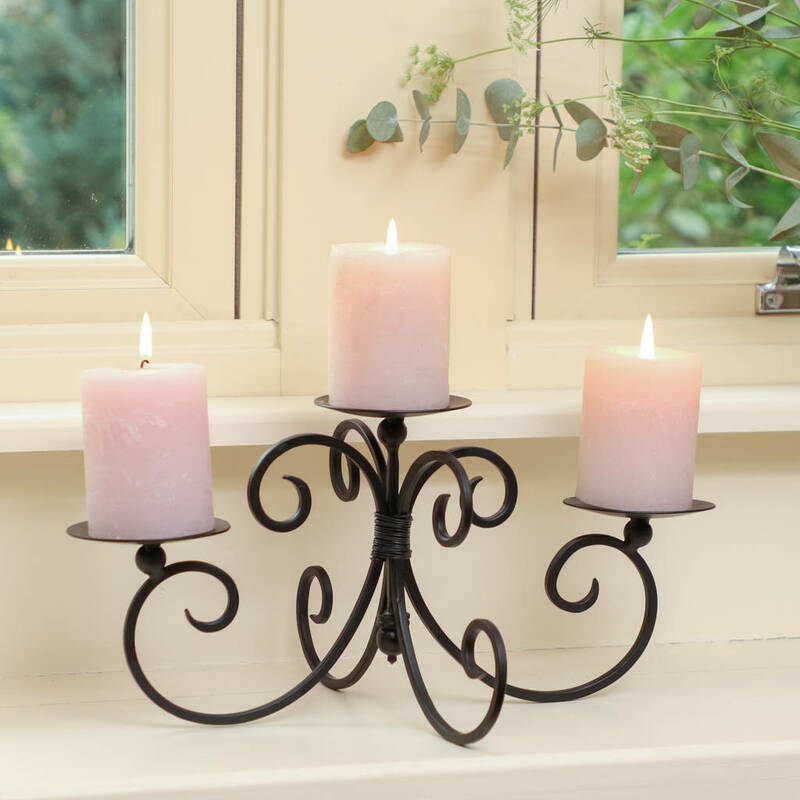 This scrolled iron candle display stand features trays for three pillar candles. 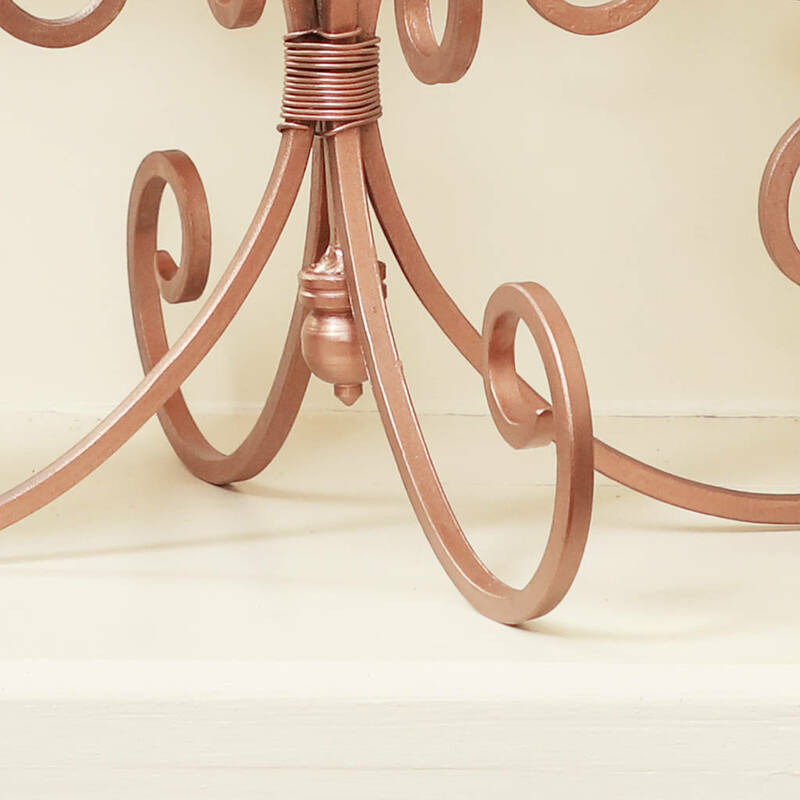 A superb home lighting accessory for anyone who loves to host. 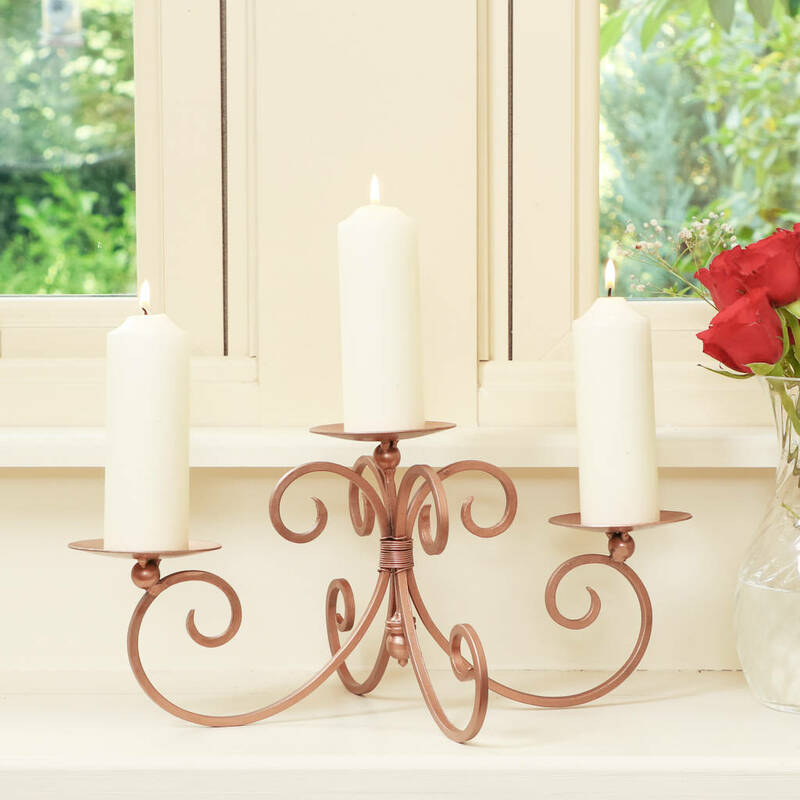 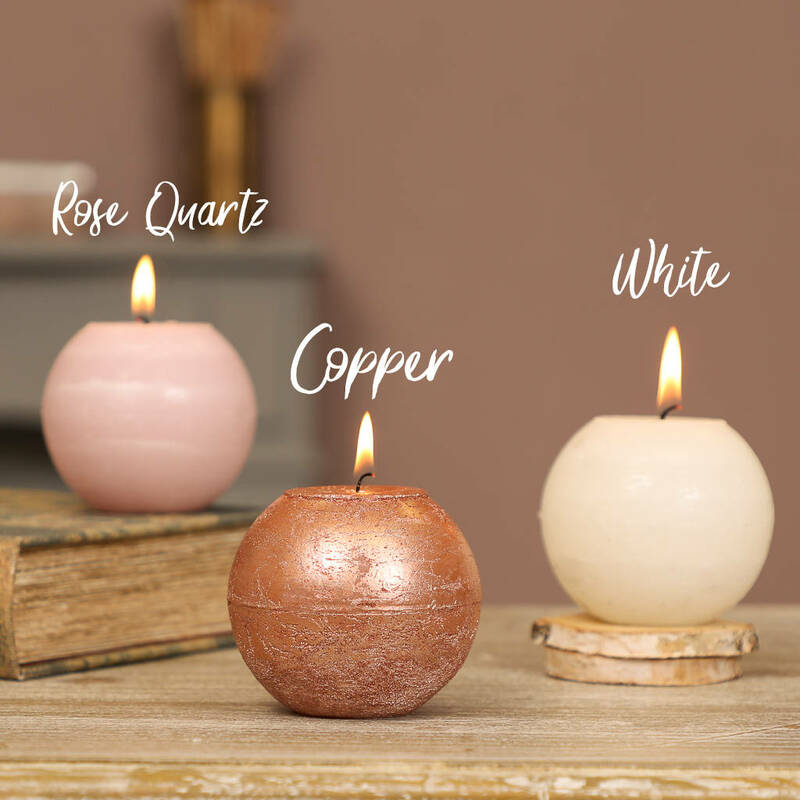 With a choice of two finishes - classic black or a contemporary rose copper - this stunning candle display will fit into any interior, regardless of style or surroundings. 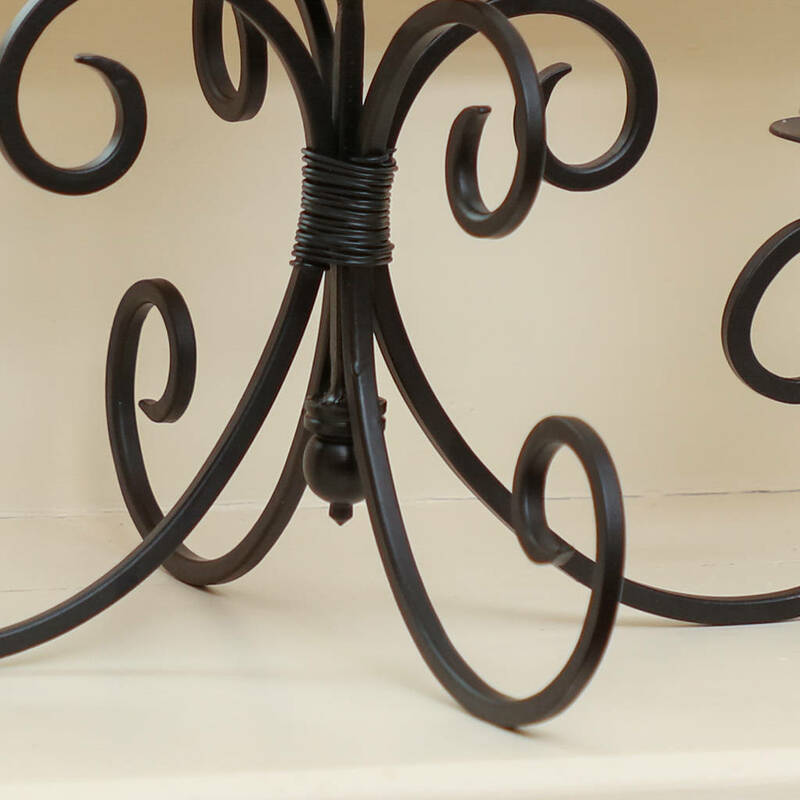 At Dibor, we believe in using only the finest materials, finishes and techniques. 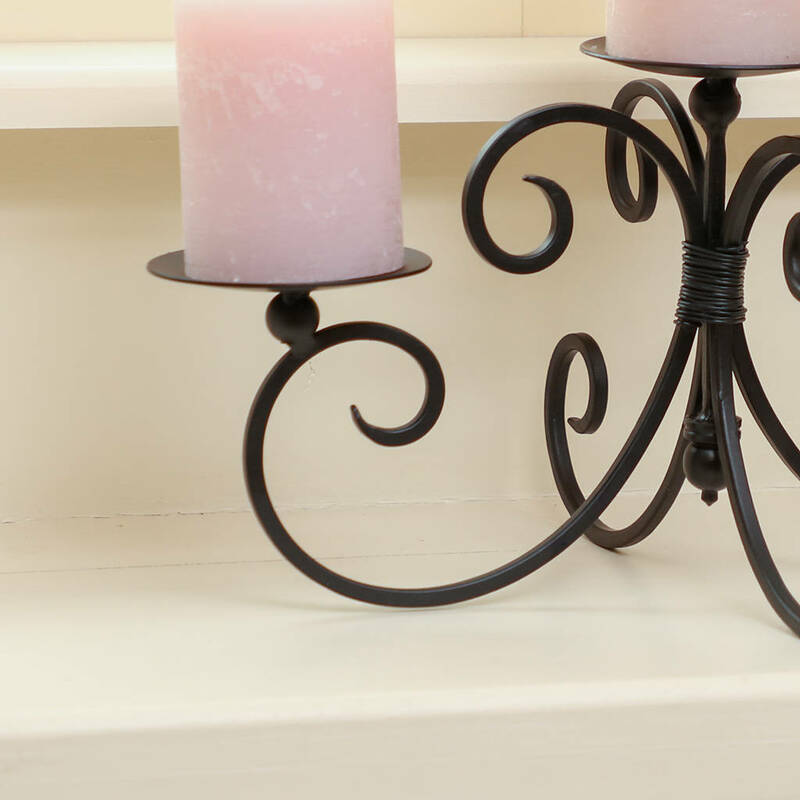 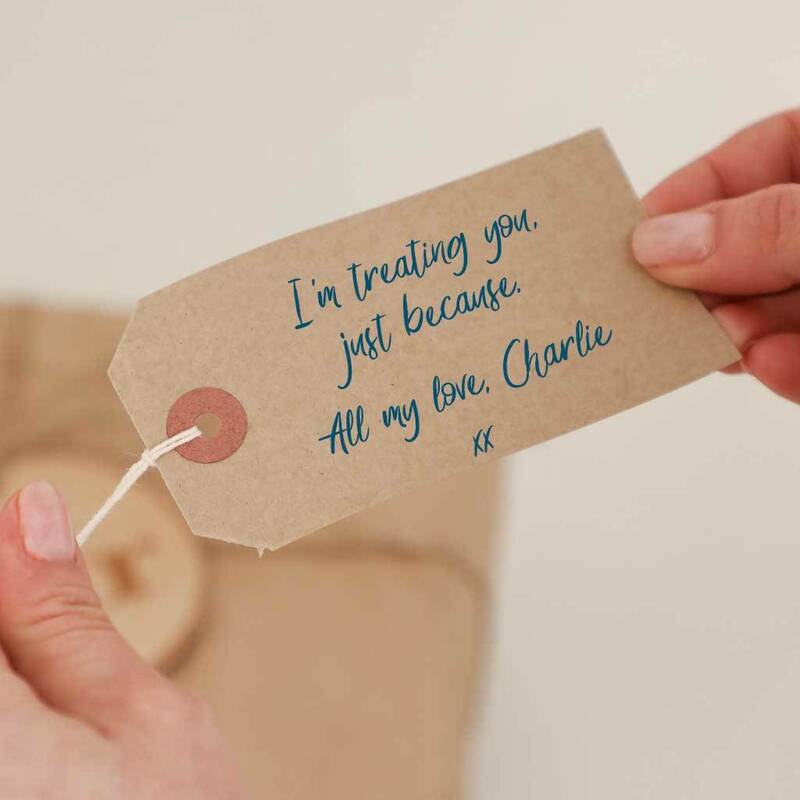 Made from durable iron for a long lasting result.